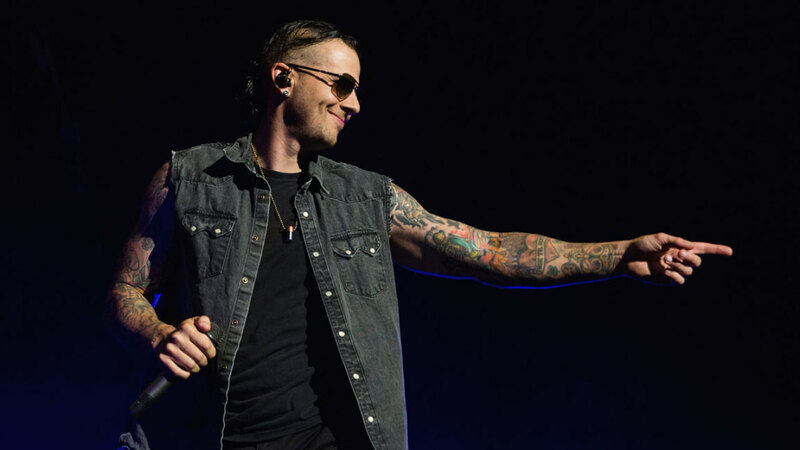 MetalRockNews: Avenged Sevenfold's M.Shadows about former drummer Arin Ilejay: "It just became increasingly difficult to be on the same page"
Avenged Sevenfold's M.Shadows about former drummer Arin Ilejay: "It just became increasingly difficult to be on the same page"
Avenged Sevenfold's M.Shadows was recently interviewed by "Talks Is Jericho", you can read some excerpts below. About former drummer Arin Ilejay, M.Shadows said: "It just became increasingly difficult to be on the same page, not only touring, but with writing and just where we want to take things," explained M. Shadows. "We're just a bunch of guys who are all over the place and we have a bunch of different influences and we need somebody who can instantly… who can sit there and say, 'Yeah, I've got that influence too or I understand why we're gonna go here. I understand why we're going to do that.'" He continued: "It just got to the point where after Mayhem Festival last year, we had just decided to fire on all cylinders the way we want to, we needed to make a change. And we all had our little talk. We said, 'Listen, we can ride this thing out the way it is right now and we'll be fine or we can shake the nest a little bit and we want to fire on all cylinders again. We want to be the baddest band on the planet. We want to just dominate onstage.' And I came up with the idea that I really want to talk to Brooks and see if there's any chance and see where he's at in his life right now." He added "Jimmy's missing and you're not trying to replace that and you're just trying to get to the point where if you were to tear this thing to the bottom floor, how would you rebuild it — to just say new band, new mentality, new fire. And one of the things was, 'Let's give Brooks a call and see what he's doing.' It wasn't like we were going to start trying guys out and we were serious about this change. It was, like, 'If Brooks is willing to do this, that's what we want to do.' So it wasn't like we were gonna just start looking for drummers."